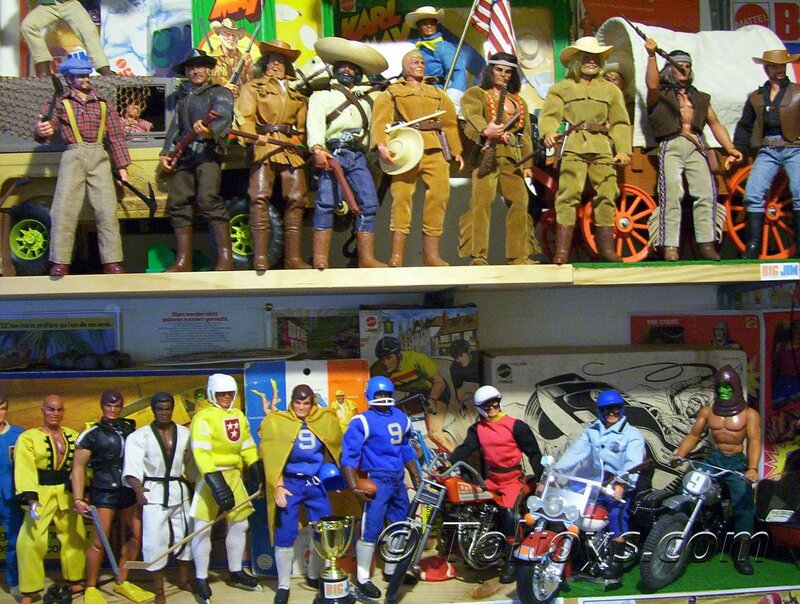 Check out this fantastic collection of Mattel Big Jim figures, vehicles and outfits from Aussie collector Willem Bos. Willem started out with just his two remaining childhood figures five years ago, and has now built an enviable collection of over 60 figures, vehicles, outfits and ephemera. There are so many highlights in these pictures it’s hard to single anything out, but the western range and the P.A.C.K. 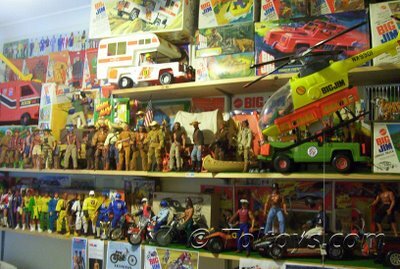 figures and vehicles are a couple of favourites of mine. 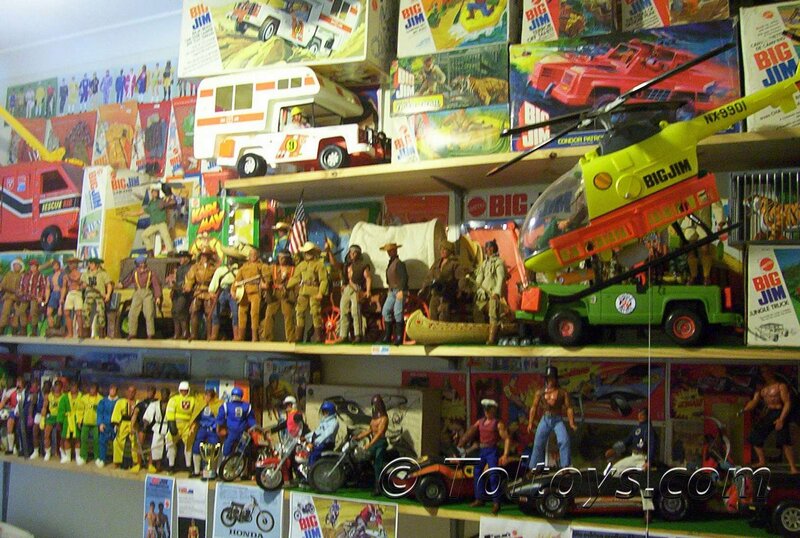 The stand-out highlight for me though is the set of rare 1976 Australian Olympic Outfit Big Jims. The figures have unique green and gold molded trunks as seen in this catalogue shot, and three outfits as seen in the picture below. There are tough find even here in Australia, and I’ve yet to see a packaged example. Thanks so much to Willem for sharing his collection with Toltoys.com! 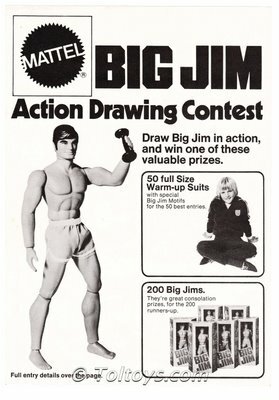 In 1973 Mattel was having some success with it’s new Big Jim action figures, a smaller scale competitor to Hasbro’s GI Joe. 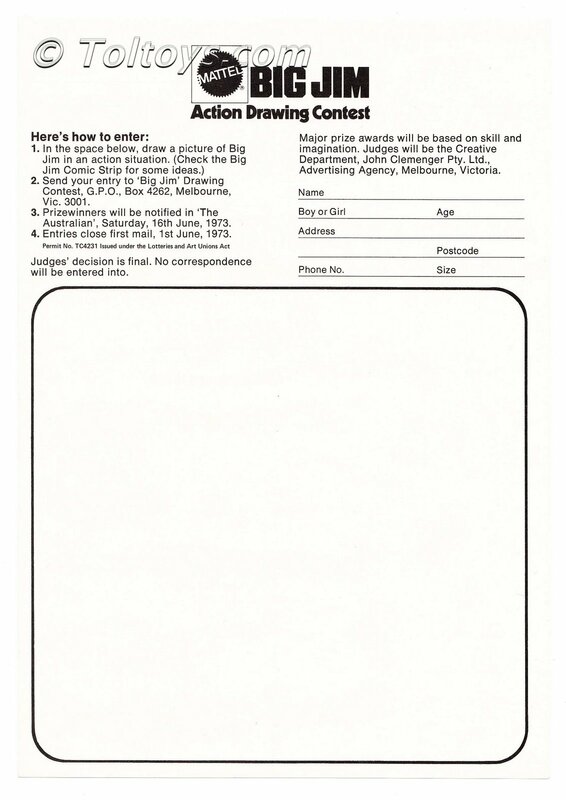 Launched the previous year, sales in Australia were given a little push with an “Action Drawing Contest”, promoted through retailers with large entry forms that had space on the back for little Picassos to scrawl out Big Jim in ‘action poses’. 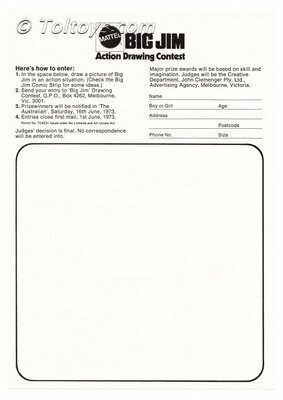 The prizes were one of 50 Big Jim motif Warm Up Suits (Tracksuits or trackies to us Aussies) or one of 200 basic boxed figures. Personally I think wearing a Big Jim tracksuit to school sports day would have caused the owner a sudden and violent death (or least some well deserved teasing), which probably helps explain the rarity today. By rarity I mean I’ve neither heard nor seen of one in a collection or for sale anywhere. 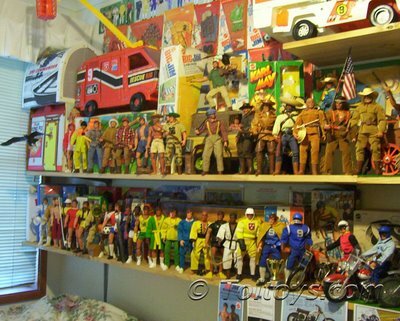 Would love to post a pic if anyone out there does in fact own or know of one, you can get me on will(at)toltoys(dot)com. 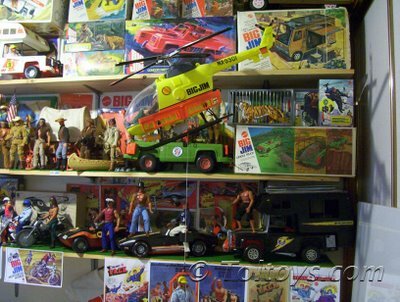 This is the first of what may unfortunately be quite a few posts featuring vintage toy competition entry forms, I realised I had enough to call it a collection the other day, entirely accidental is my defense!